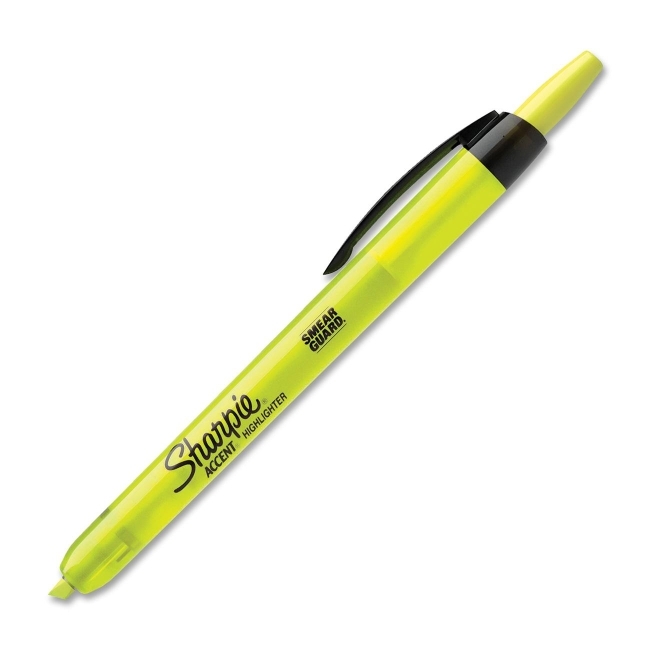 With an easy push-button, Sharpie Accent Retractable Highlighter delivers the convenience of one-handed highlighting. Innovative Safety Seal prevents dry-out when closed. Sleek design is appropriate for any occasion, offering you confidence while you work. Smear Guard ink technology is specially formulated to resist smearing of many pen and marker inks. Quick-drying, odorless ink is certified AP nontoxic.